Everyone knows Thylacines are extinct. The truth is more complicated. 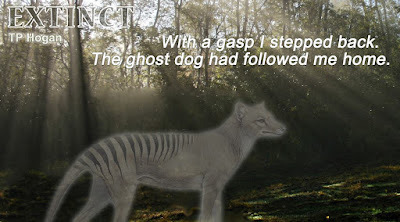 Thylacines are real but the secret that hides their existence has trapped them in a half-life, and only one person can set them free. The search pulls Ginny into a world that shouldn’t exist. A world that is being threatened. Someone has found the Thylacines and is killing them. As Ginny struggles to unravel a century-old mystery that holds the key to their freedom, the answers bring her to the killer’s attention. In a clash between worlds, where exposing the truth means death, is Ginny prepared for the cost of keeping the Thylacines safe? Pretending to be normal was hard when I was seeing things. And I had to be seeing things. There was no way a silver dog-like creature was silently padding its way across the black-and-white checker tiled floor of the tattoo parlour. The edges of its shape were blurred, a ghostly mist, and it walked with no sound. No click of nails, no panting of breath. Through its ethereal form, the black section of floor paled charcoal grey. Black pool eyes bore into mine as if it could see into my soul and it was slightly amused by what it saw. Barely breathing, I stared down at it. My head was starting to pound with every heartbeat. I was half expecting it to fling itself at me without warning, ferociously snapping its jaws. After all, wasn’t that what ghosts did? After standing all silent and eerie, they did a sudden jump attack. This one didn’t attack. It yawned its long, slender snout with wide gaping jaws and far too many sharp teeth. It was like no type of dog I’d ever seen. Its body was sleek and long, ending in a stiff tail that reached the floor, and it had stripes like black claw marks ripping across its back. 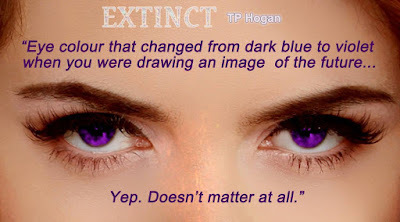 TP Hogan writes speculative fiction. 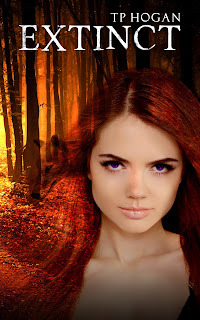 This allows her to escape...and explore hidden worlds, inhabited by the creatures of her imagination, and she invites you to join her in these realms. 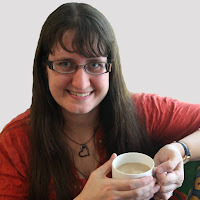 She has penned such stories as Shattered, Nephilim Code and Extinct. When she does step owlishly into reality it is to mess about with baking ideas, play violin, drink copious amounts of coffee and remember that there is a whole other world to explore, in the guise of the beautiful Sunshine Coast Hinterland of Queensland, Australia. She shares her home with her husband and an ever expanding urban backyard garden. 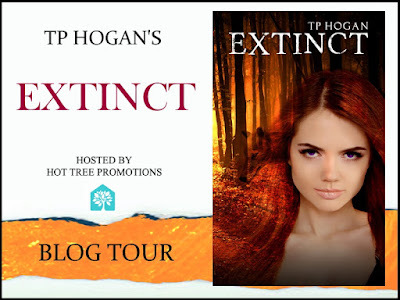 TP Hogan loves talking to readers and writers and you can find to her on Facebook, Twitter and on her website.